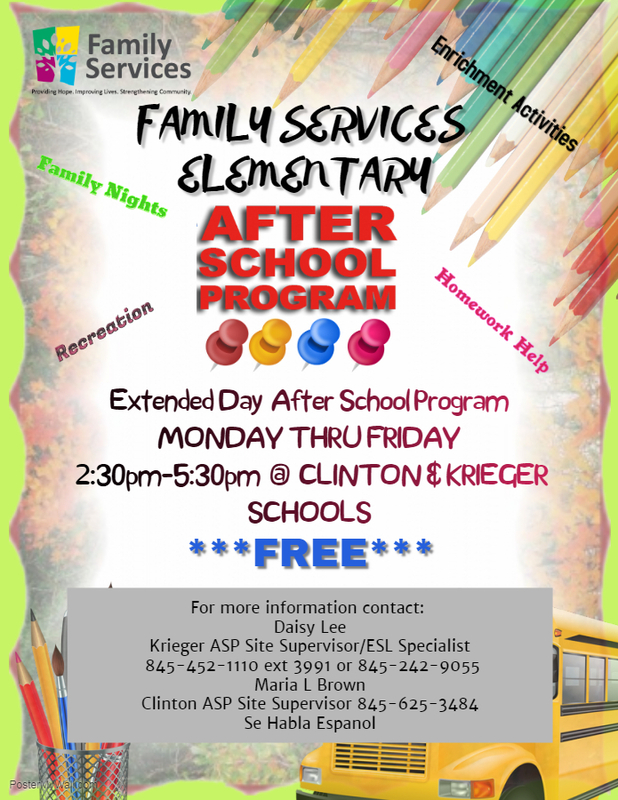 After School Programs – Family Services, Inc.
We emphasize the safety, health, and well-being of children by providing a secure environment and mentoring relationships with trained adult youth workers. Using project-based learning, children are engaged in a variety of developmentally appropriate activities that serve to enhance their academic, life, and social skills. Our programs are licensed School Age Child Care programs through the New York State Office of Children and Family Services.